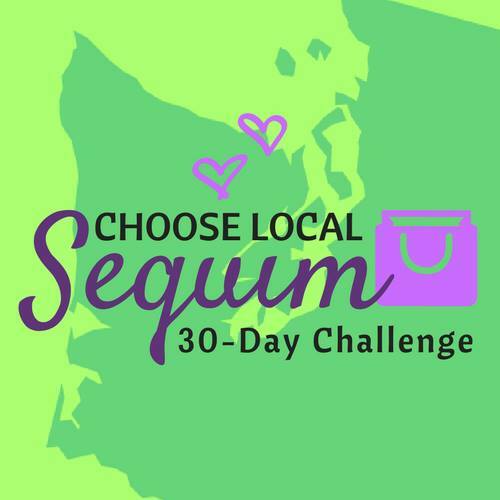 Choose Local Sequim is challenging our community to support locally owned Sequim businesses with a 30-day social media challenge for the month of April. TO ENTER: post a PUBLIC picture of the items you purchased or a selfie of yourself supporting a locally owned Sequim business (retail, restaurant, service, etc.) on either the Choose Local Sequim Facebook page timeline, OR on Instagram or Twitter. You MUST include the hashtags #chooselocalsequim AND #30daychallenge. A winner will be selected randomly at the end of the challenge and will receive a basket worth over $800, with gift certificates and products from participating local businesses. You must be at least 18 years old, and support and post between April 1-30th, 2018.